April is Sexual Assault Awareness Month! 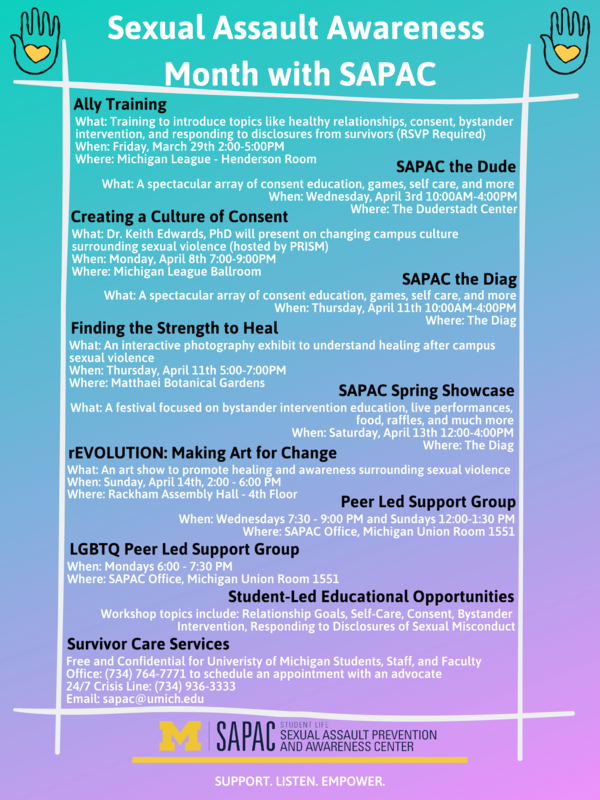 Join SAPAC in a variety of events happening to spread awareness all month long! 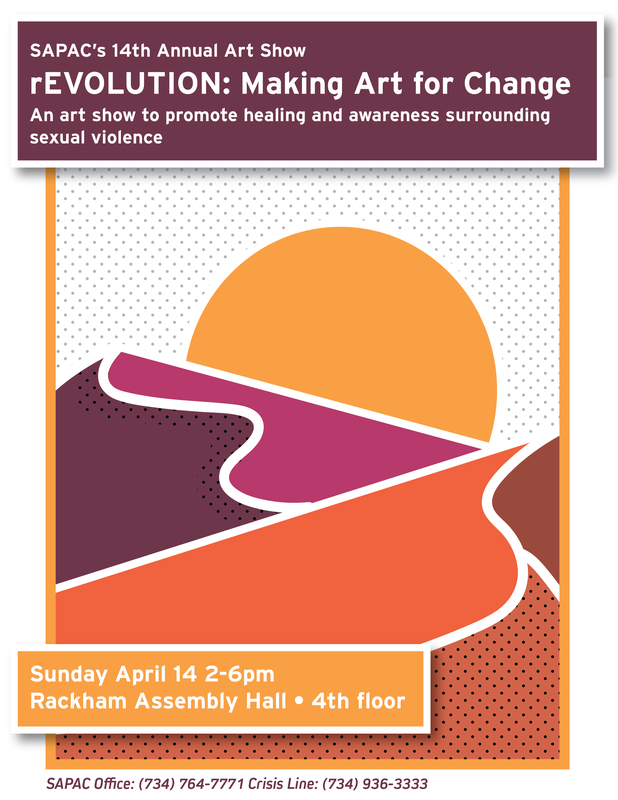 The SAPAC Survivor Empowerment and Ally Support (SEAS) program cordially invites you to rEVOLUTION: Making Art for Change, our 14th annual art show, featuring the themes of gender, sexism, sexualized violence, empowerment, healing and growth. 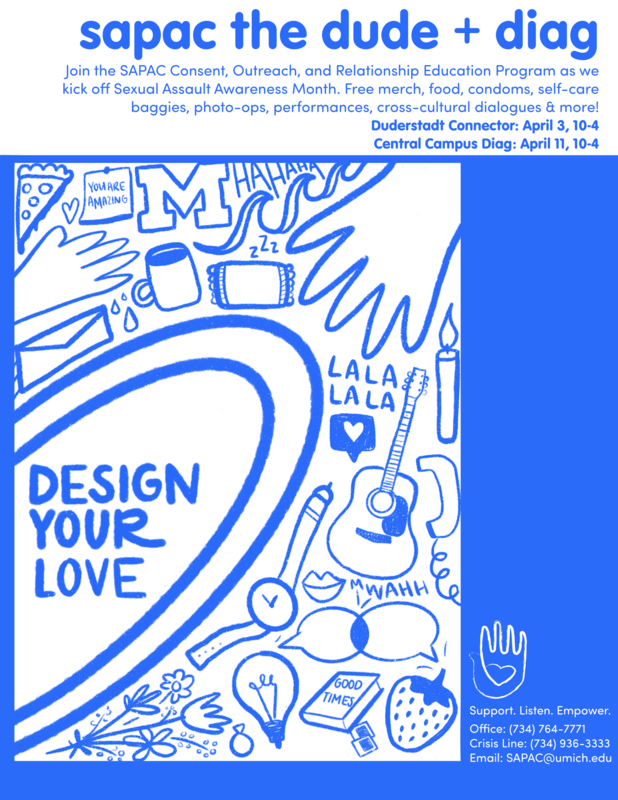 This event is open to all in the community; everyone is encouraged to share their stories and voices.  There will be light hor d'oeuvres, beverages, and desserts! 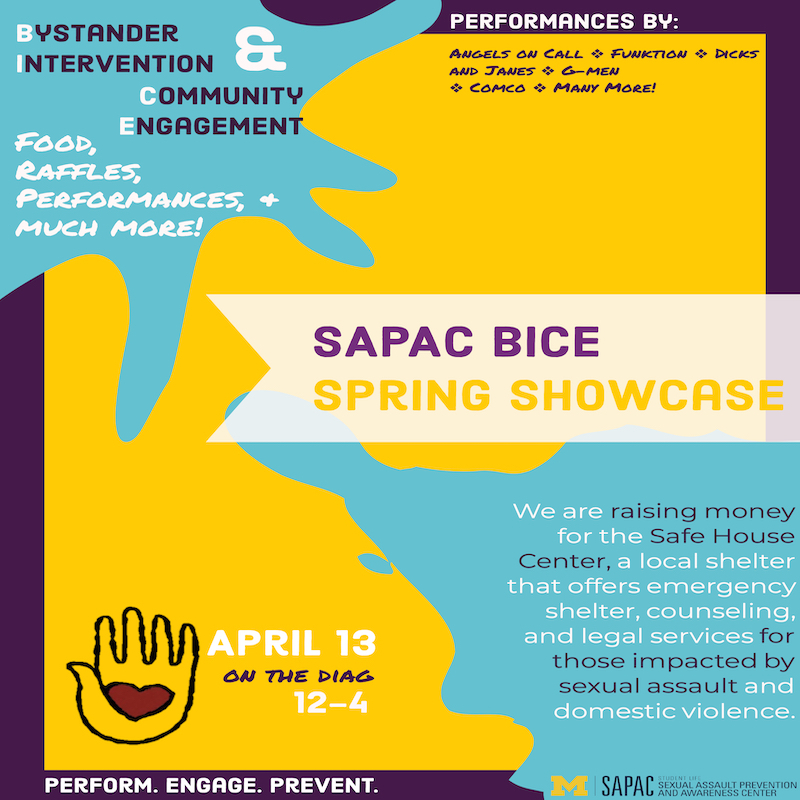 Join SAPAC's Bystander Intervention and Community Engagement program in an event to raise awareness for sexual violence, featuring performances by talented student groups including but not limited to: Funkiton, Groove, Dicks and Janes, Angels on Call, G-Men, and Comco. 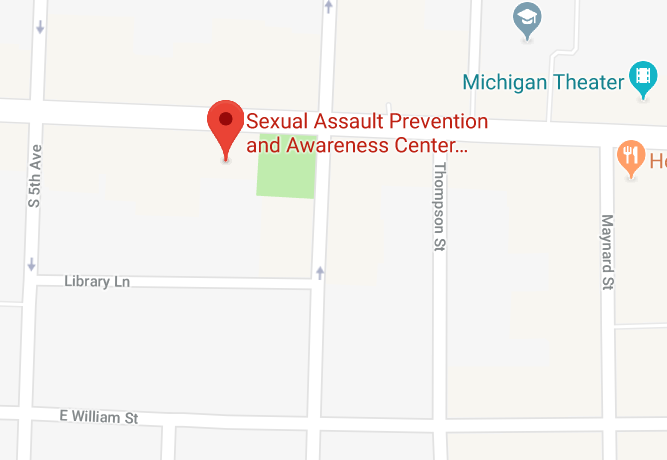 Free food will be provided and all voluntary donations will be given to SafeHouse, a local community organization that offers emergency shelter, counseling, and legal services for those impacted by sexual assault and domestic violence.